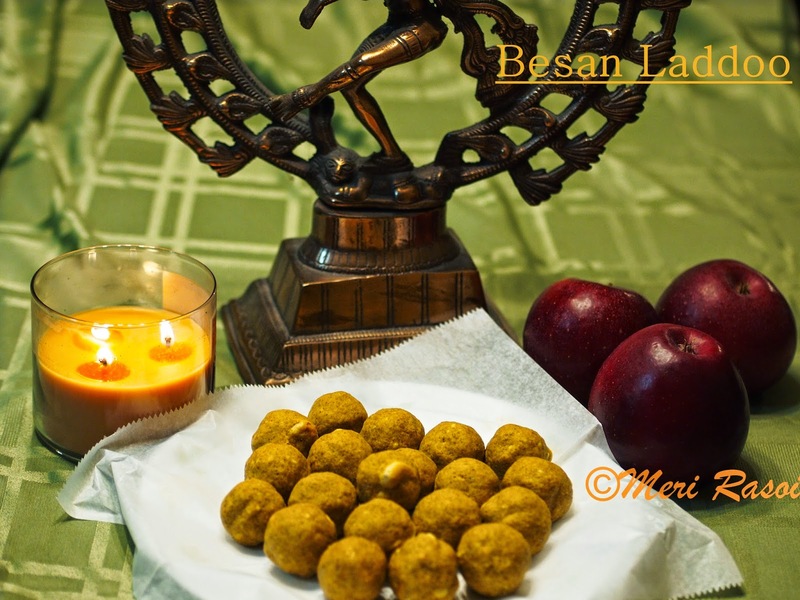 Besan Laddoo is a delicious and popular sweet prepared during festive occasions in India. It prepared by roasting chickpea flour in clarified butter (ghee), sweetened with powdered sugar , flavored with cardamom and finally garnished with cashewnuts and raisins. Heat the ghee in a thick bottomed pan. When the ghee comes to a smoking point , lower the heat and add the besan flour and keep mixing . Once the besan is done switch off the heat . When the besan has become warm (from the hot state) and is in a state that you can handle them with bare hands, add the sugar powder, cardamom powder and the fried nuts and raisins and mix well. 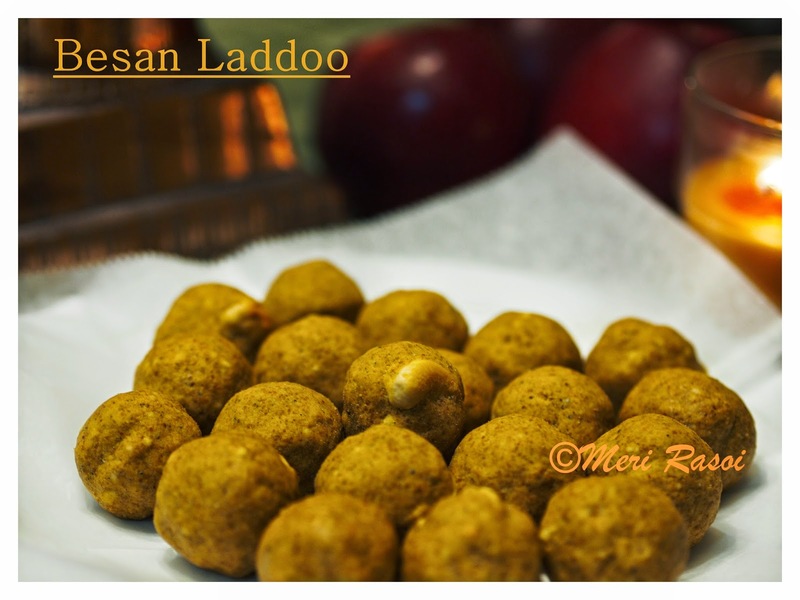 Last but not the least make ladoos and enjoy..
Ladoo besan is easily available in indian stores. 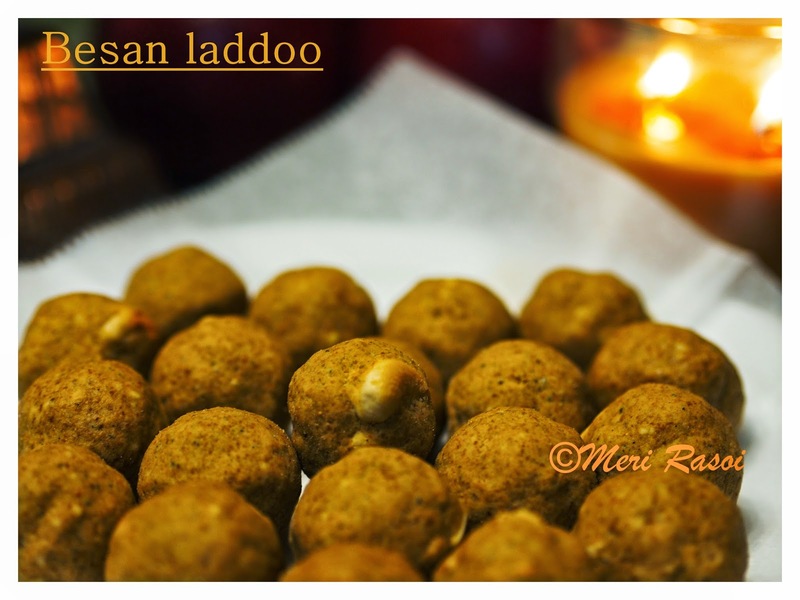 It gives a nice texture to the ladoos so it is recommended. 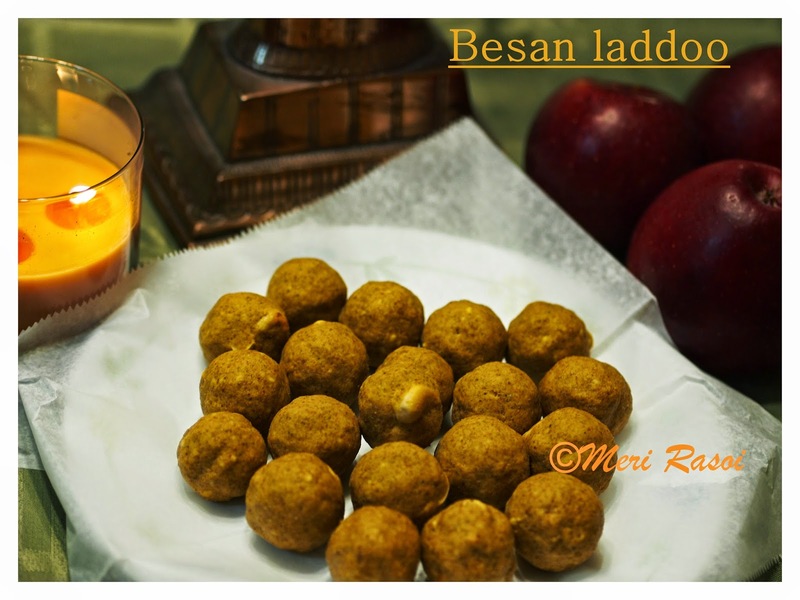 Besan ladoo looks yummm.. Never tried. sooner to try.